The Nadezhda Municipal Institute of Culture (NMIC) is the largest municipal centre in one of the most outlying districts of Sofia. Its mission is preserving, developing and popularizing the Bulgarian musical culture and art. The various innovative and exciting art events, easily available for the public, arouse people’s interest and cause a most pleasant surprise to the residents of the villages of Vrubnitsa and Trebich, as well as to those of Lyulin, Obelya and Nadezhda districts. The NMIC provides all people with equal opportunities to experience incredible and unforgettable high quality cultural events. 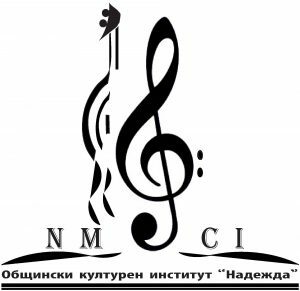 The Institute offers professional products for different age groups, namely educational programmes presented at institutions and various establishments, guest performances and concerts meant to attract the audience to the NMIC concert hall. We have established close relationship with the third age people from retirement homes, often hosting our musical performances. In different concert halls similar events are held for disabled kids, such deprived of parental care or minority children. The Nadezhda Municipal Institute of Culture (NMIC) occupies a modern building at a place with good transportation facilities in the residential district of Nadezhda, Sofia. Through its activities, as a centre of culture in the district, the Institute will continue to contribute to Bulgaria’s becoming part of the European and world musical culture. It rents premises for creative work and artistic events with the view to becoming a house of art and culture which attracts people of different ages and nationalities. We seek cooperation on a national and international scale, hoping and believing that music as well as all other arts encourage people to share their thoughts and ideas, educate themselves, feel inspired and become better humans. A new system is under development and higher criteria have been adopted. We cultivate a taste for beauty by preserving, developing and spreading the art of music. The Sofia Sinfonietta Orchestra and the Sofia Jazz band with the Institute are among the most acclaimed ones in this country. A lot of prizes have been awarded to them for their exceptional contribution in the field of music nationally and internationally. Giving concerts in some of the most prestigious halls in the world, currently they duly present the Bulgarian musical culture in the most outlying parts of Sofia. – Promoting the Bulgarian musical culture abroad and broadening our cooperation with partners from all over the world.